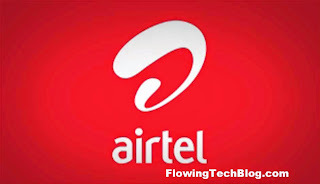 Airtel Latest Free Browsing Tweak with AirSproxy Program for PC - The Tech Evangelist! Airtel Latest Free Browsing Tweak with AirSproxy Program for PC - The Tech Evangelist! Airtel is rocking the browsing world with the use of AirSproxy. Before we proceed lets see how the AirSproxy program works and how it minimizes your data usage. You Need To Know More Features? ● The AirSproxy helps in the housing of your computer's firewall settings, which is also called AirSproxyWall (Your computer is protected). NOTE: It's preferable and adviceable to run the AirSproxywall on administrative mode, so that the firewall option can be clickable. ● It also allows the toggle button to be of control state of it's firewall settings (AirSproxywall) by either using the ON/OFFoption. ● It can also be automatically operated, using the auto ON button whenever the application is launched. Remember that the AirSproxy doesn't allow unpermitted applications to connect to the internet freely, instead, it lets you create a whitelist of programs you wish to connect the internet directly. For instance, as we want to let the AirSproxyconnect to the internet, you're to click onadd application, then select the launchedAirSproxy.exe. *. A Working Proxy Address (IP), which works under port 80. *. Finally, a local port which is not in use by any other program of your computer. *. To configure the above settings, first move to any of your browser (i.e Mozilla firefox), then set the proxy address as 127.0.0.1and port8080. If you are done with the above step on your browser, you're to find a working proxy running on port 80, when you get one, then input them in the AirSproxy program. You can find working proxies on sites like, (hidemyass.com, xroxy.com, proxynova.com etc). Then connect and start surfing the internet at low cost. You can use just 4MB data to download over 10GB file with this tweak. NB: This tweak is tested and comfirmed on a 64Bits OS computer, if you use 32bits OS computer, you can give it a try. Thanks To GurusWizard and Mr. Chinonso.